10,000 Hours to Mastery, But 20 Hours Gets You Started! 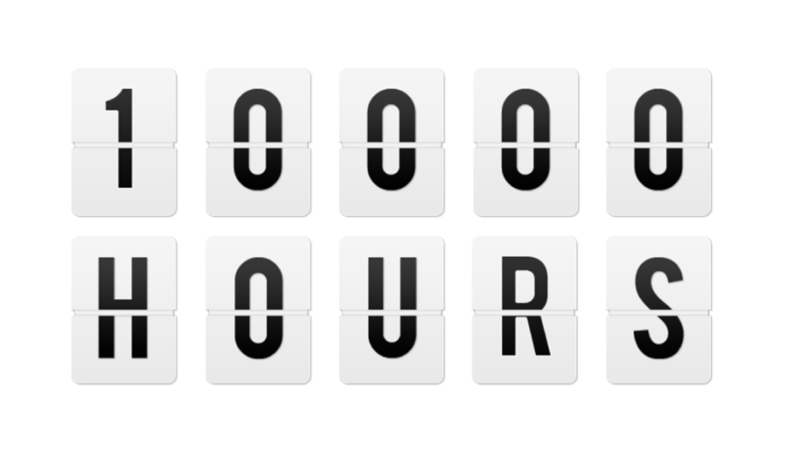 “The 10,000 Hour Rule” was popularized by Malcolm Gladwell in his book, Outliers. I believe in it. It takes a lot of practice to achieve a level of mastery in any complex task that requires higher cognitive thinking. Learning a language, becoming a chess master, coding, becoming a professional athlete, playing jazz guitar…. Practicing with intention 4 hours a day 5 days a week (or 3hours a day everyday), and it takes 10 years to achieve a level of mastery of your craft. A daunting amount of time and effort for most of us! But don’t be dissuaded! We can achieve a remarkable level of competence in any of these endeavors after just 20 hours of practice. In other words, the journey begins with our first steps. Leaping and leaning into the process is the way we begin any meaningful journey. Passion may be what compels us to begin a new adventure, but purpose is the only thing that will drive us to continue when things get difficult. And things always get difficult! For instance, take guitar lessons for one month (with a dedicated, knowledgable and patient teacher), and practice everyday (twice on Sunday), and by month’s end you’ll be strumming along and singing a few of your favorite songs. The journey is begun and we have some positive results that demonstrate that we can do this. If we’re dedicated to our craft, progress with purposefulness and are passionate about learning more, we’ll enjoy every step over the next 9,980 hours!